Would you bet on your pet? If so, what would you bet on: an eating competition? a beatuy pageant? a race? While for many, betting on an animal could be perceived as betting on a somewhat fluffier member of the family, in ancient times the practice was much more common. Ranging from races to fights – even sometimes against men – much of this activity has now been curtailed by law. As such, while horse racing or greyhounds remain legitimate, other types of betting on animals can be severely punished. This article offers an overview of betting on all creatures, although it by no means wishes to encourage illegal activity. Indeed, for betting on animals to stay an enjoyable tradition, it is necessary for the competitors to be treated with the respect and care they deserve. Betting on animals, like any type of betting, is a form of calculation of probabilities and pay-offs. Thus, like all types of betting, it is a game in minimizing uncertainty and predicting the future with the maximum accuracy. Here are a few tips on how to place your bets taking into account the particularities of each of the following disciplines. With this in mind, punters tend to favor Stakes Races to place their wagers. Indeed, these are the highest class of horse racing in the UK. In these events, horses race on flat ground and with level weights. The punters' tip is statistically confirmed in these types of contests which are characterized by the highest proportion of favourites and second favourites winning the race. Of course other types of races like Graded Chases are widely reknown and prestigious. This is the case for the Cheltenham Gold Cup for example, which features the highest performing three-mile chasers of the season in Britain and Ireland and remains the most sought-after prize in steeplechasing.. Broadly speaking, two types of betting are available on horse races. To Win means that the horse selected needs to finish first in order for the bet to be succesful. For a horse to Place it must finish either first or second. Lastly, you can make more advanced bets that include multiple horses. For exemple, a trifecta wager consists in predicting the 3 first horses in the order of their arrival. This exercise increases the difficulty for the punter and is paid back accordingly by higher odds and larger pay-offs. These types of bets are cumulable: meaning that a player can bet on the same horse to Win and to Place. This is called an “Each Way” bet and is one type of beting combination allowed in horse racing. It allows for a big payoff if the horse is first and to cover your wager if the horse simply places. Another type of combination, refered to as “Dutching” is available for players betting on several horses to win or place in the same race. Through this, more expensive, type of betting, players can increase their chances of winning their bets. The system employed for betting on horse races in Great Britain is referred to as a tote system. This system means that, independently of the odds on each horse at the moment the player placed his bet, the odds that will be applied are the final odds once all players have bet and is known only moments before the race departs. Thus, with this modus operandi, the best decision for punters is to hold off their bets until the last moment to have the most accurate estimate of the odds and to be able to better analyse the information of the given race. Of course, the types of racing and the types of betting offered will differ slightly from country to country. The rules outlined above for the United Kingdom are not the same as those that apply to horse races in Australia, the United States, or France for example. Lure courses : dogs are set to chase an artificial hare – also called a lure – around a track to the finish line where contestants are given prizes according to their order of arrival. These events can be set on a grass track or on a sand track. If the types of races differ less than in horse racing, for example, types of betting are no less numerous. Recent form is an important indicator of future performance. 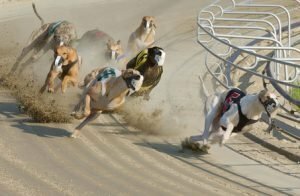 However, greyhounds form usually runs in cycles and betting on a dog that is ready to win is the real challenge and where the big pay-offs really lie. To measure this, assess the dog's progression margin (often function of its age) and listen to the market as punters' money flees when inside information is out that a dog is under the weather. As with horse racing, the betting system is centralised in a tote pool, meaning that the odds are fluctuating until the start of the race in reaction to the betting volumes on the various contestants of the race. This also means that the odds used for calculating the payouts will be the final odds rendered at the start of the race and that punters wishing to make the most informed decision possible on their bets should hold off as long as possible before confirming their betslip. Note : strict provisions are made for greyhounds to retire in the comfort they deserve. As such, the Retired Greyhound Trust aims to find a home for adoption of dogs which have ended their racing career. One form of greyhound racing called Hare coursing featuyres dogs chasing a live hare. This type of coursing, closely assimilated to a form of bloodsport is banned in most countries. This is notably the case in the UK where Hare Coursing has been made illegal since 2005. However, certain countries such as Ireland and Spain have maintained the legality of the sport. For these types of betting, Totepool is an obvious first choice. Historically, the bookmaker's primary activity has been taking bets on horse racing. Today, the pioneer in UK horse betting has extended its offer to include betting on greyhound races, as well as football, golf, and tennis as well as casino and arcade style gaming. New players can take advantage of numerous welcome bonuses, spanning from £10 on betting to £100 on casino style gambling. For more information on services and promotions from Totepool, click on this link to our review of the operator. Or, for direct acces to the operator's full offer, click on the button below. Another interesting offer comes from William Hill. The operator's offer covers virtually all types of betting and gambling, be it in their extensive sports section or in the numerous gaming modes ranging from casino to poker and bingo to name only a few has also a new virtual sports section. This rubric allows players to bet on sporting events which happen only online, a computer algorythm processing all the data associated with each event and generating outcomes for the multitude of sports covered. These of course include horse racing and greyhounds in both flat and hurdle races, as well as motor sports and football. 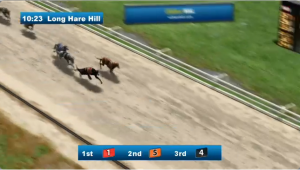 To get a flavour of this new type of horse and greyhound betting, click on the link below. Or, to access Betminded's review of the deals and games on offer on the bookmaker's website, refer to our William Hill product overview. Additionally, if you want to read on about virtual sports and other, new forms of online gambling, check out the Betminded review of what is new and what is to come in the realm of internet betting. In horse and greyhound racing, the animals are treated like athletes. Their health is looked after as a crucial component of their performance and the quality of their life after their racing days are over is also a matter of concern as an important element of the integrity proned by the sport. However, certain types of betting on animals do not share these concerns. That is the case, mainly, of what are refered to as “blood sports”. Bloodsports include any sport in which animals are killed or hurt for the enjoyment of people, such as cockfighting and dogfighting for example. Cockfighting and dogfighting are amung the most widespread bloodsports. In this type of contest, two roosters or dogs are placed in a pit and made to fight to the death while spectators bet on the outcome. However, it is illegal in most countries. 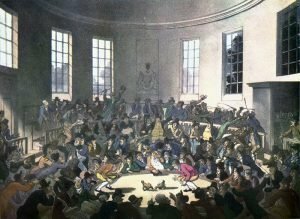 Cockfighting and dog fighting was banned in England and Wales by the Cruelty to Animals Act of 1835, folowed by Scotland in 1895. However, according to the RSPCA, there remain instances of illegal cockfighting, although these are few and declining. 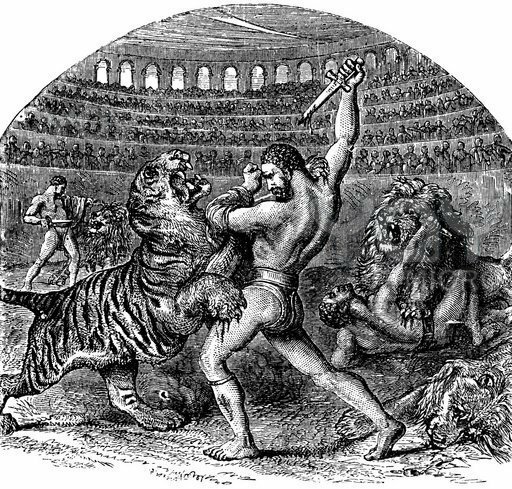 Cockfighting and dog fighting are also banned in the USA, where President Obama signed the “Animal Fighting Spectator Prohibition Act” making it a federal crime to knowingly attend or to bring a minor under the age of 16 to an animal fighting event. Previously, state laws had banned cockfighting with some as late as 2007 (Louisiana). Dog fighting and cockfighting were also made illegal in Australia, as was the possession of cockfighting or dog fighting paraphenelia. Jogo do Bicho, “the animal game” in portuguese, is a very popular but illegal form of gambling in Brazil. Although it does not involve any form of animal cruelty – animals being used as shorthand for numbers in this form of lottery – the game was made illegal in 1946 as it escapes all state control and is not recognized as a legitimate gaming platform for players. Betting is usually taken orally or over the phone by mobsters belonging to criminal organisations. 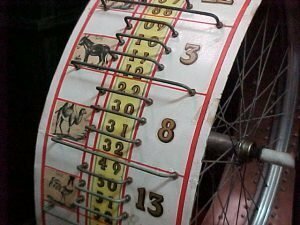 To simplify the system, each of the 25 numbers available in the draw is associated with a certain type of animal. For example, 1 is Ostrich, 2 is Eagle, 3 is Donkey, and so on. However, the lack of transparency in the draw and in the redistribution of winnings as well as entanglements with other types of illegal activity has caused the game to remain in illegality in the eyes of Brazilian authorities. In spite of this, the game still enjoys a vast popularity in Brazil.